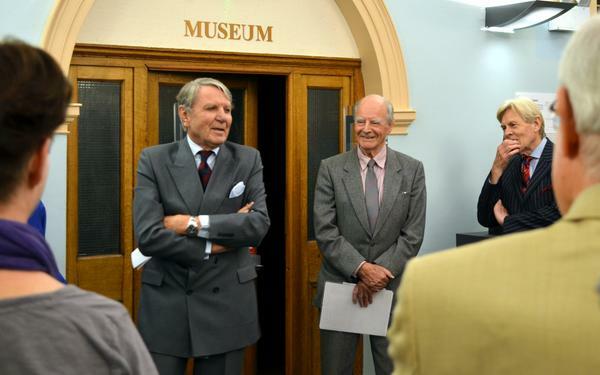 A bronze bust of aviation pioneer Sir Thomas Sopwith, unveiled by his son Tommy Sopwith, has been installed at Kingston Library. The bronze is a gift to the borough from the Kingston Aviation Heritage Trust and joins the library’s bust of Sir Sydney Camm who according to Sir Thomas Sopwith was ‘the greatest designer of fighter aircraft the world has known’. 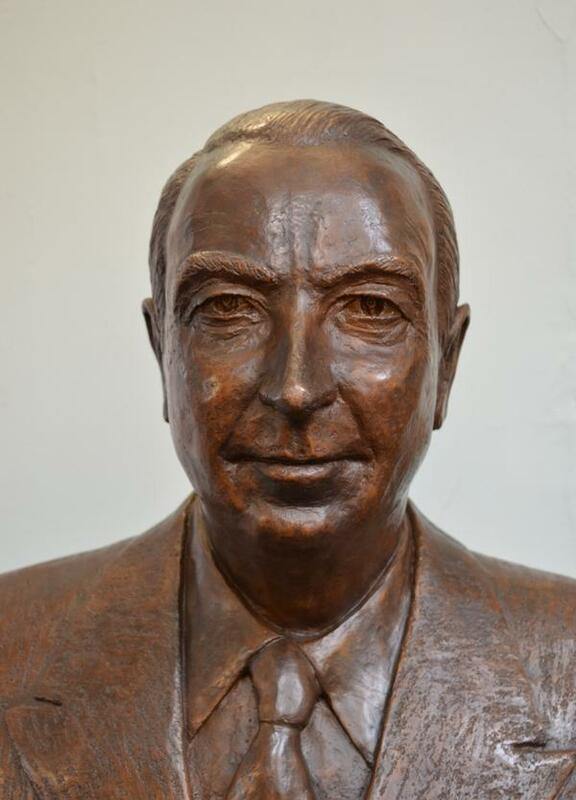 The sculptor of both bronzes, Ambrose Barber, is a former Hawker executive and a Trustee of The Kingston Aviation Heritage Trust. Tommy Sopwith last week unveiled a new commemorative plaque at Canbury Gardens in Kingston on the spot where the Sopwith Aviation Company, which set up a factory near Kingston railway station in 1912, used to test its famous floatplanes. Plaques now mark five important aviation industry locations around Kingston, recording the important achievements of the town’s aircraft companies and the vital role played by thousands of local people from 1912 to 1992. “Kingston is proud of its association with Sir Thomas Sopwith and of its great aircraft heritage. Sir Thomas combined engineering skills with great business acumen and leadership, making an immense contribution to the country’s aviation industry and to Britain’s victories in two World Wars.